Daily Mirror - Where Next For Yahoo? Many felt that Yahoo’s decision to appoint ex-Googler Marissa Meyer would result in a surge in its fortunes. Things have certainly started looking up at Yahoo, with the company making a number of acquisitions, releasing improved earnings, making content announcements, and generally making more noise in the market than it has done for some time. But does this mean things have really turned around? Since coming on board, Meyer has signalled a renewed focus on product. Flickr, which probably should have seen success on the scale of Facebook & Instagram, but had been unloved for years, has been given new focus and a sharp new app. Ditto weather. The start-up news aggregator Summly was snapped up for $30 million and, within weeks, some of its features were baked into Yahoo’s main apps. On the media side, Yahoo hasn’t abandoned its plans to be a media and a tech company, announcing a raft of new exclusive programming, as well as deals with ABC and Saturday Night Fever to replay their content across its properties. At the same time, Yahoo has announced new ‘native’ ads that will be matched to the device and content type the audience is consuming. And all of these would appear to be feeding into results, with the share price up 50% since Meyer joined. Yahoo is still a massive company, and one with millions of loyal users around the world: its Mail & News services are still the dominant players in their sectors in many markets. But in a world increasingly defined by search, social, video, data & mobile Yahoo has struggled to provide a USP other than its scale and legacy. There is no doubt that Meyer has brought a much needed focus to the company, and if nothing else, has managed to create good news stories about the company – important in an industry that often works from feeling as opposed to logic. But the question is whether she will ever be able to do enough to truly turn the company around and push it back to the top of the pecking order. Metacafe would have been a great opportunity, and it is a great shame that the deal couldn’t be done. The reborn flickr is, once again, a truly great product. But it may just have to make do with playing second fiddle to Instagram, which essentially stole the market flickr created. And as for search, the alliance with Bing hasn’t provide much of use to either party as yet, with most of Bing’s gains in the US coming at its partner’s expense. It may well be that Yahoo is just going to have to get used to being a very good second or third best. As display revenues for its core brand are currently going backward, that would actually be a pretty good outcome, though it may not be enough to satisfy Wall Street. Whilst nowhere near the company it once was, Yahoo is definitely looking better than it has done in some time. But in a world where Google, Amazon, Apple & Facebook are continually developing their software, hardware and services, Yahoo is unlikely to ever scale such heights again. 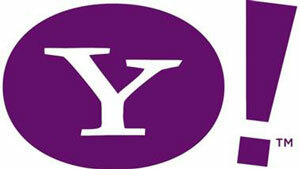 The media world needs diversity, so we should all hope for Yahoo’s resurgence, even if we should accept stabilisation.